Before making your booking, please ensure you read the terms and conditions. Please also be aware before booking that temporary passports are not allowed entry into Indonesia, and all passports must have a minimum of six months validity otherwise they may be denied entry into Indonesia. Wow! I don’t normally write reviews, but I just had to write one for this property! It was nothing short of paradise itself. 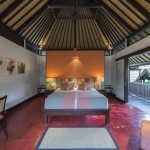 The villa is not just another average rental property, it’s like having a mini luxurious exotic resort all to yourself! It’s totally private and you have the feeling that it just shields you from the rest of the world and from reality itself. The grounds are lusciously green and beautifully manicured with magnificent palm trees and scented frangipanni trees surrounding the whole property. 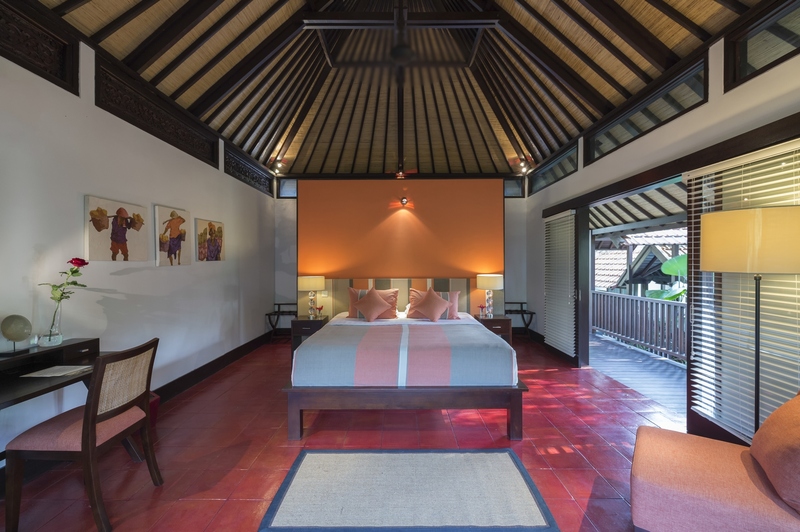 The main villa itself is simply stunning and looks like its straight off the pages of a top design magazine. The service was absolutely amazing. We were completely pampered the whole time. And it was such a luxury to have a private chef, masseur and driver for the entire holiday. 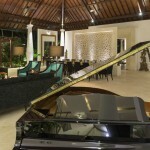 I wanted to go and explore Bali, but quite frankly, I was in heaven at the villa, so I only stepped foot outside once! I can’t say enough about this place. Simply put, it’s the stuff dreams are made of. Would I recommend it? I think you have the answer to that! I have been fortunate to have stayed at Uma Wana Prasta a couple of times and have already booked my next visit there. 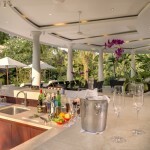 Everything about the place is sublime from the villa, to the grounds, to the attentive service, to the wonderful meals. 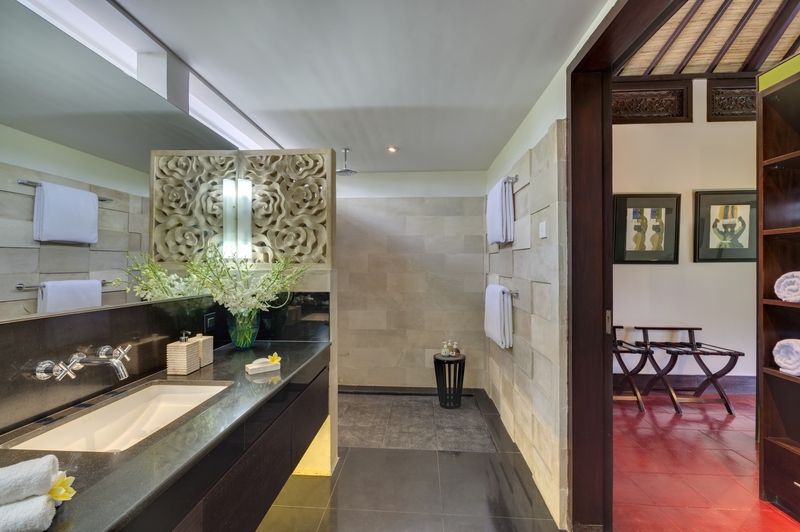 One really could not wish for a more perfect place to stay while visiting in Bali. The minute you arrive on the property you are cossetted and made to feel fantastically welcome. 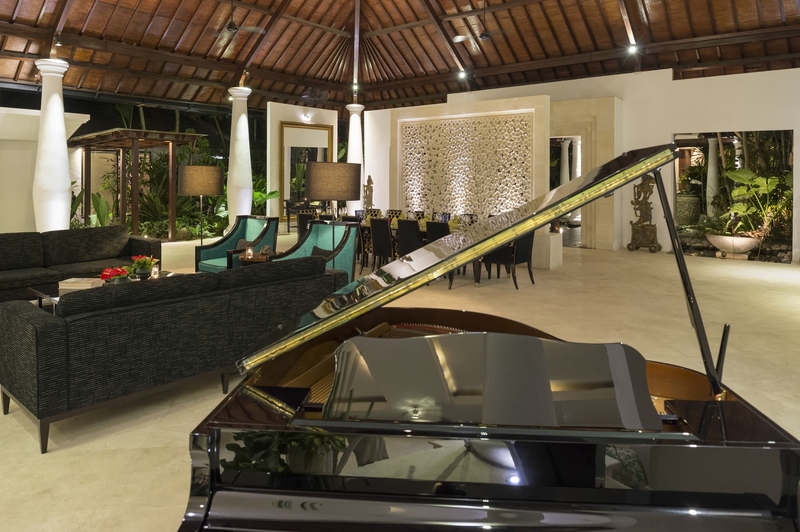 Whether you go on day trips to explore the sights of Bali or simply lounge by the pools (there are two of them!) you will have a superb stay at Uma Wana Prasta. I cannot recommend it highly enough. 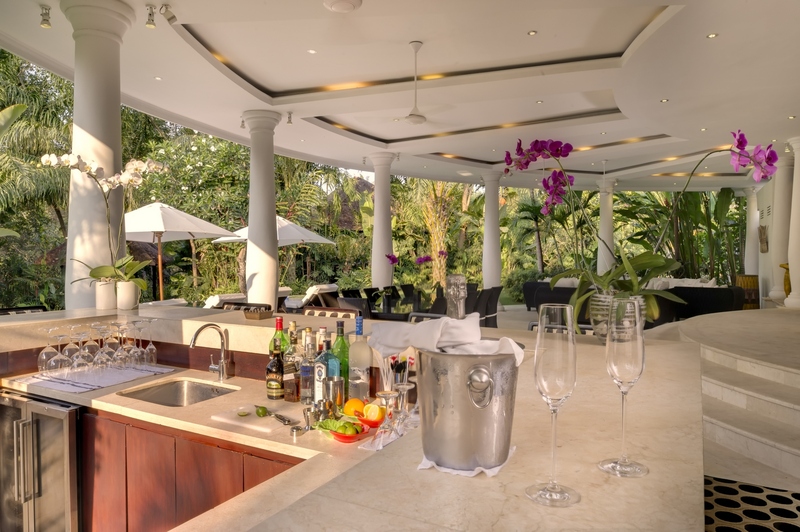 This was the perfect venue for an exclusive celebration with friends and family. From the stunning location to the perfectly appointed accommodation, from the professionalism of the staff to the immaculately maintained gardens and pools, our stay was truly the stuff of dreams. I will most definitely return – again and again. There is no place on earth that I’d rather be for a moment or a lifetime! We traveled to Bali from the U.S., staying at Uma Wana Prasta during our wedding, For days after our spiritual Balinese blessing, none of our guests wanted to leave the majestic property. UmaWana Prasta is more than just a luxury rental, it is the spirit of Bali from the warm, gracious staff to the inspirational grounds. Both created tremendous joy during our stay. In driving across Bali, it is said that you will see a holiday celebration everyday. 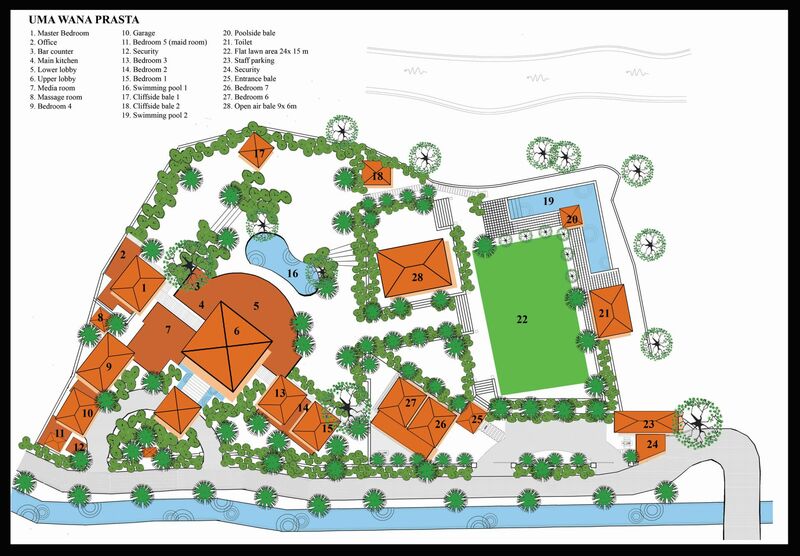 Uma Wana Prasta captures that essence with gathering places made for celebrating life! From the moment we were collected and brought to Uma Wana Prasta we were spoiled and pampered by the exceptional staff. The pictures don’t do this stunning estate the justice it deserves, staying gives you both a sense of peace, security and calm. 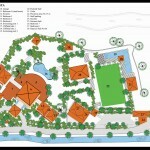 It is a small private resort that you struggle to leave. We spent a week there with amazing food, wonderful staff, total privacy and it was not nearly enough. Thank you, thank you, thank you! We will definitely be back! 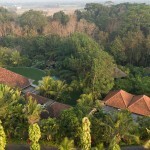 This is a an exquisite piece of paradise surrounded by nature in complete privacy and serenity with absolute security . I must also tell you about the adjacent kitchen with chef extraordinaire…. Breakfast of fresh fruit, a variety of pastries just out of the oven then of course your choice of cereals or eggs and tea or coffees as you please. Uma Wana Prasta I thank you from the bottom of my heart for such a wonderful time and place …. The thing that has stayed with me from our stay at Uma Wana Prasta is the sheer luxury of the extended gardens and grounds, and how seamlessly they blend with the style and comfort of the extensive lounge, dining and sleeping areas. 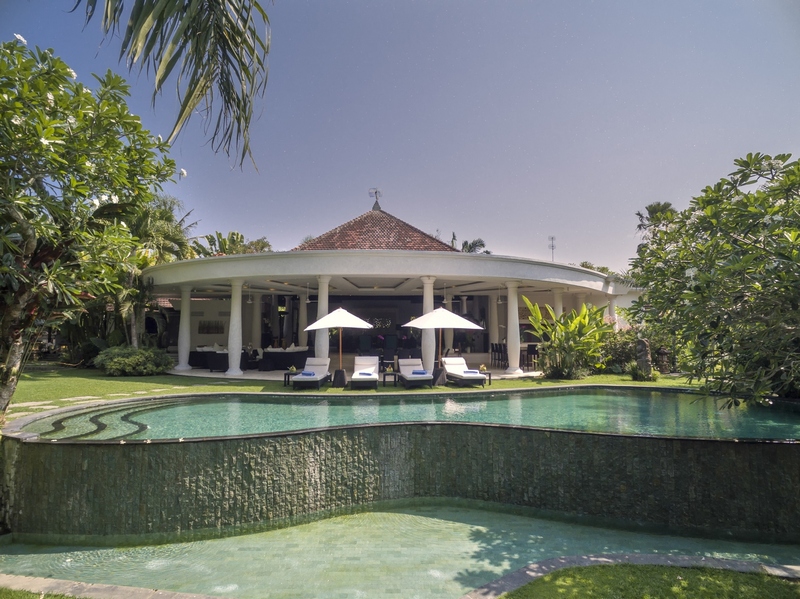 Unusually large for a Balinese villa, the grounds are lush, both manicured and wild at the same time, and conceal any number of beautiful spots to relax. Despite the temptation to explore, we really did not ever want to leave the peace of this oasis. Each bedroom is wonderfully private and very comfortable. Walking into the main grand scale room of the communal space is like walking into an amphitheatre – the stage from which all else happens. Add to that daily massage, the most wonderful tropical fruit platters for breakfast, and Nyoman at the bar, quietly and smilingly taking care of all needs, this was simply a haven for us to all take some precious time together.